Since August 3rd, I have driven over 5,000 miles through 22 states. During that time I got to spend time with so many family members and friends, and truly live out an adventure. And somehow, in spite of what 2nd grade computer games taught me, I made it out to Oregon without succumbing to dysentery. I wanted to take the chance to share some memories, and tell a quick story of the moment that best summarized my journey. I took in a wide variety of USA’s nature. I saw the tallest Mountains Colorado, Utah and Oregon have to offer. Dipped my toes into Lake Michigan after lazing on the beach. Drove through 360 degrees of nothing but prairies, corn and cows. 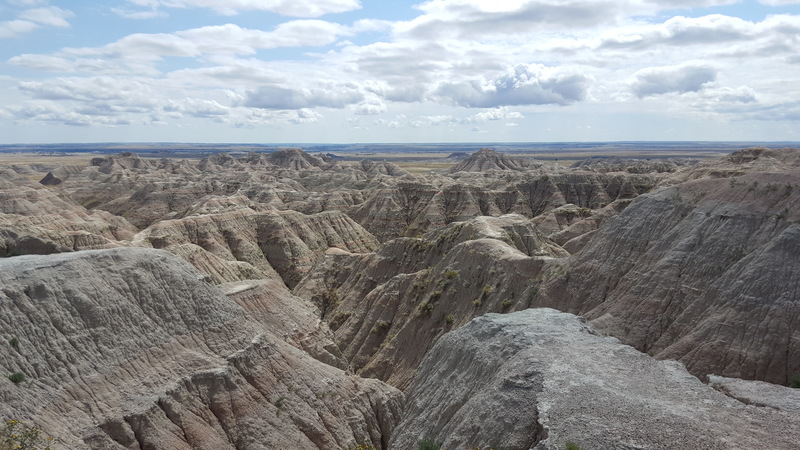 Saw some good lands, and South Dakota’s Badlands. Crossed famous rivers named Mississippi, Colorado, Missouri, Snake and more. I observed man made creations from the beautiful to the strange. I gazed at enormous sky scrapers in enormous cities. Took selfies in Chicago’s famous silver bean. 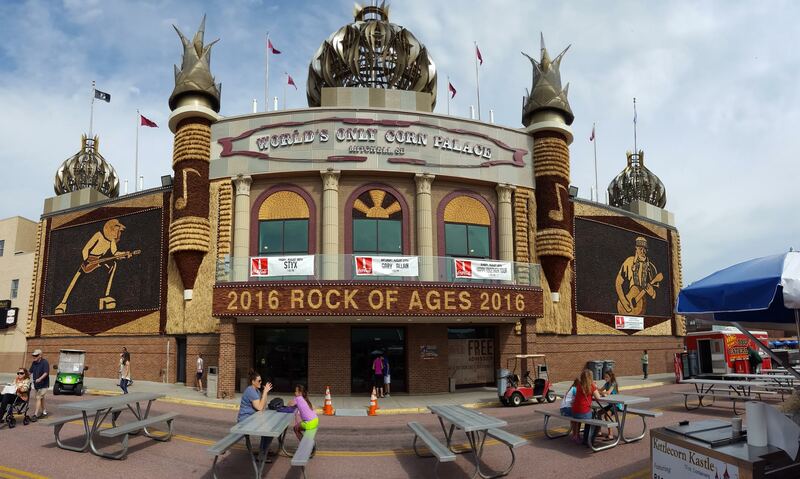 Questioned why South Dakota has an enormous corn palace. Wondered why there was a tourist information stand in Crawford, Nebraska, the smallest town I’ve ever seen (tied with Sibley, Iowa). Stared at the faces of four presidents chiseled into a mountain. Took in the castle-like Mormon Temple in Salt Lake City. Unsurprisingly, I took in some sports. I crossed three MLB stadiums off of my bucket list, highlighted by a free tour of Target Field from a friendly security guard. Visited football Mecca. Gawked at Olympic hopefuls flipping, twisting and turning into mid-air before landing in a swimming pool in Park City Utah. I had so much fun with so many people. I was joined on this journey by three loved ones. Played shuffleboard with friends in New York City. Mini-golfed with another in Medfield. 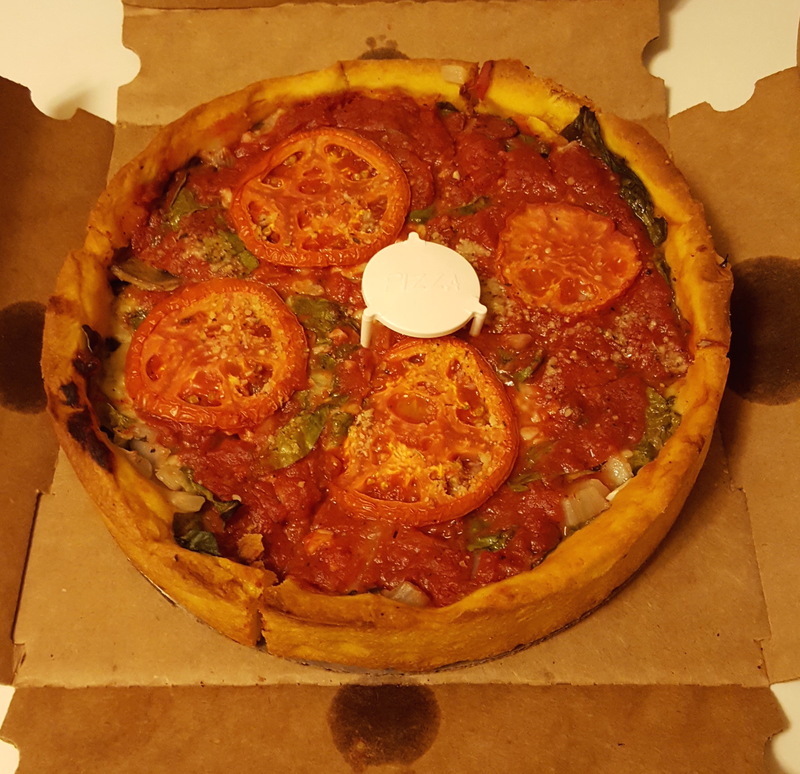 Reunited with other long-time friends in Chicago, Minneapolis and Denver. Hunted for Pokemon until 1 am. Played scrabble with my 91 year old Grandmother. 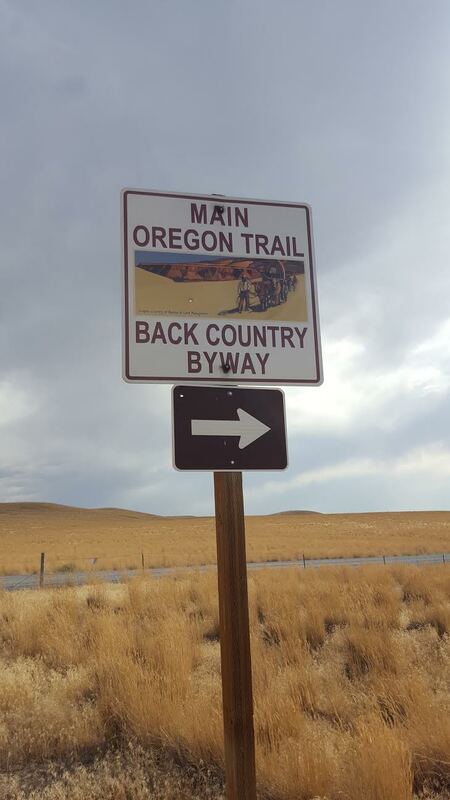 The Oregon trail. In Nike Owner Phil Knight’s new memoir Shoe Dog (which I highly recommend), he starts by describing those who made the trek across the Oregon trail: “the cowards never started, and the weak died along the way — that leaves us.” Now I won’t sit here behind my laptop and pretend to suggest my fun 2 week vacation across the country compares to what those men and women went through. But as my Mother and I drove through Idaho on our way to Boise, we saw a sign for an Oregon Trail information center. I had been thinking about this quote and felt I was making my own Oregon Trail, so I suggested we make a quick pit stop. As we searched for the center, we saw a sign like the one pictured above. We decided to take a quick detour and see what it was all about. After driving for a few miles, the road turned from pavement to gravel. But it was labeled a “byway” so we decided it must get us through to the next main road reasonably soon. Just before my two week trip started, I replaced two tires on my car after one leaked while driving over similar conditions. As such, I was not a happy camper as we kicked up a storm of dust, worried about having to buy two more tires. My Mom reassured me things would be okay, and after 10-15 miles of no signs of roads, GPS signals or even life, she was proven right and we found our way to a major road. The car was fine, just as my Mom had promised. Looking back now, the situation really encapsulated what this move across the country means to me. I’ve set out hoping to grow professionally and individually, but have come to an uncomfortable cross roads. Driving for 15 days to reach my new home reinforced how I’ve never been so far from friends and family, and there is plenty to be nervous about. But if I can just get myself over those uneasy conditions, I know the outcome will be great on the other side. I’ve never done this before, but I’ll add a quick PS on this article. A huge thank you is in order to everyone who hosted me, texted me, sent me photos and even just followed along on this journey. It certainly helped get me through the long driving days, and made for some lifelong memories.